Dreaming of catching the crest of the next big wave? Cannabidiol, or CBD, is a natural phytocannabinoid derived from cannabis which is rapidly sparking worldwide interest from individual investors and has become an exciting arena for angel and venture capital investors hoping projections are correct and that the CBD market will grow 700% in just the next few years. Like THC, CBD is extracted from cannabis. Cannabis is a plant. Most plant species come in a variety shapes and sizes and colors and flavors. For instance, you can buy beefsteaks tomatoes, cherry tomatoes, or plum tomatoes. Some are sweet, some are tiny, some are yellow, and so on. But they are all tomatoes. It’s the same way with cannabis. As you probably know (even if you have been hiding under a rock), marijuana comes in a variety of strains. Some are high in THC and low in CBD, some are high in CBD and low in THC, and some have a balance of THC and CBD. It’s worth mentioning here that cannabis flowers can only produce so much cannabinoid content (max. is around 28% by weight), hence the more of one you breed in, the more of the other you breed out. One particular group of cannabis strains is called hemp. Again, for those under the rock, hemp is marijuana’s non-psychotropic cousin. It’s mainly grown for food, fiber, and building materials and contains less than .3% THC – not even enough to get a fly high. First, marijuana is far more expensive to grow than hemp, and it produces far less CBD per acre than hemp does. It makes no sense to use a crop that produces less CBD at a higher cost. And the CBD in hemp is the exact same molecule as the CBD in marijuana. There is no difference whatsoever. Second, because marijuana has more than .3% THC—a lot more in most cases—it’s illegal in many places, and growing it can land a farmer in prison. It is possible to buy cannabis oils with both THC and CBD in states where marijuana is legal, but in most cases, you need a medical recommendation to get it. Also, if you don’t want the high that comes with THC, and you don’t want to flunk your drug test, you have to be absolutely sure the CBD products you get in that state are THC-free. If it’s made from marijuana, you really can’t be sure, no matter what it says on the label. Anyway, due to some gray area between federal hemp food regulations and cannabis regulations, unlike CBD from marijuana, CBD made from hemp can currently be easily purchased online anywhere in the country without a doctor’s recommendation. While we were all celebrating the rise of cannabis freedom, CBD made a quiet entrance. A substance that few people were aware existed 10 years ago has now exploded into the over-the-counter consumer health supplement market. 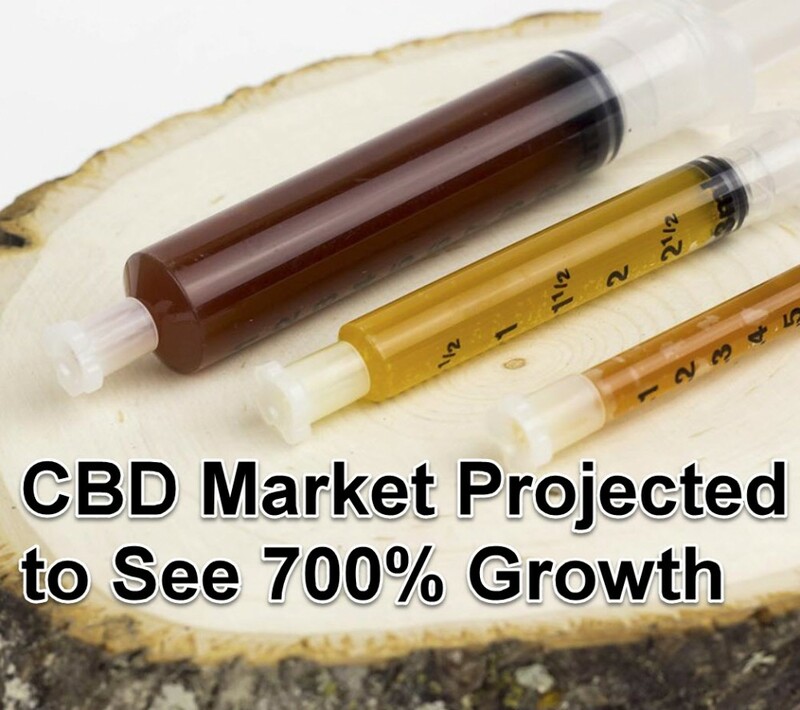 It’s estimated that the total US CBD market will grow to a $ 2.1 billion industry by 2020. A large part of the reason that the legal marijuana market has grown so quickly is, unlike the home computer boom, or the cell phone boom, or the dot com boom, a market for cannabis already existed long before the “Green Rush.” The money flow is just changing course and flowing to state-sanctioned businesses instead of criminals. So to say the marijuana market is the fastest growing in the country (as I did in my last cannabis.net article) is a bit misleading. The hemp market, on the other hand, is a relatively recent development in the US. So for all practical purposes, the hemp market is actually growing far faster than the marijuana market, and will continue to do so. Interest in CBD is trending upwards, as evidenced by search activity. 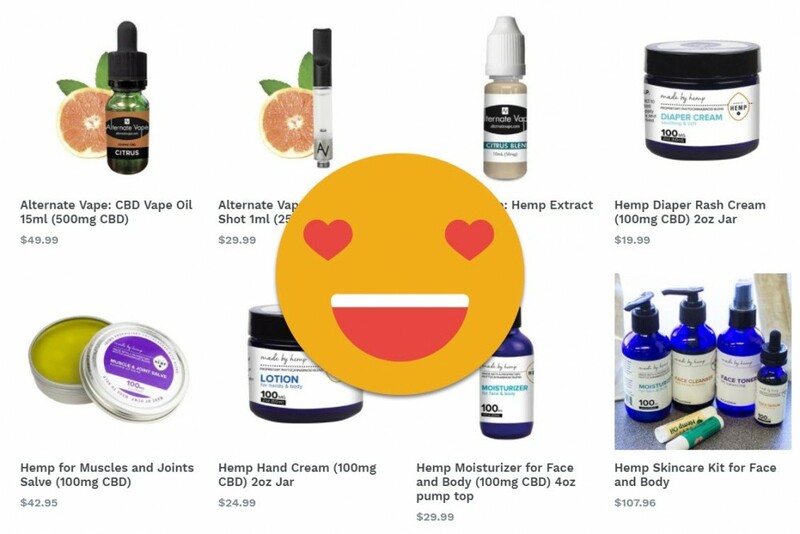 Leafly.com reports that “cbd oil” has become the most searched-for product by the millions of monthly visitors to their site. Google trends shows that the worldwide public interest in CBD has substantially increased. The online search activity related to CBD in 2011 was approximately 15% of the traffic logged in 2016, and this trend is continuing upwards at a steep rate. CBD is showing up in everything from chewing gum to suppositories, foot powder to shampoo, beer to smoothies, gummy bears to chocolate bars. That trend will continue for years to come. With technological advancements in nutraceuticals, farming equipment, extraction technology, manufacturing, distribution and more, the potential for making money in the CBD market is near infinite. Hemp-derived CBD’s selling power is indisputable. The retail CBD market is growing at an astonishing rate, at least for some makers. As an example, US-based brand Diamond CBD reported exponential year-over-year revenue increases in May 2017 by bringing in over 1 million dollars for the month. That’s 1300% better than May 2016. “We are on fire! We are consistently setting new sales records month after month as the sales momentum continues to build,” said Maria Gomez, the Regional Vice President of Sales. As mainstream media coverage and consumer interest grow, CBD will find its way into more and more over-the-counter products—everything from shampoo to foot balm. This is not a trick marijuana is likely to pull off any time soon, if ever. About the Author: Rick Schettino is publisher/editor of CannabizNews.com and co-owner of R&D Cannabis Marketing. He also writes freelance for numerous cannabis industry news publications. THE COMPLETE CBD PRODUCTS GUIDE, CLICK HERE. CANNABIS STORE ONLINE OPENS, READ THIS..
$700, Growth, Market, Projected. Bookmark.